Insulated Adaptors provide a means to isolate the earth of the supply cable from the load equipment thus reducing the risk of damage to electronic equipment. The adaptor incorporates a Nylon 6 dielectric insulator between the metallic male thread entering the equipment and the metallic female thread receiving the cable gland. 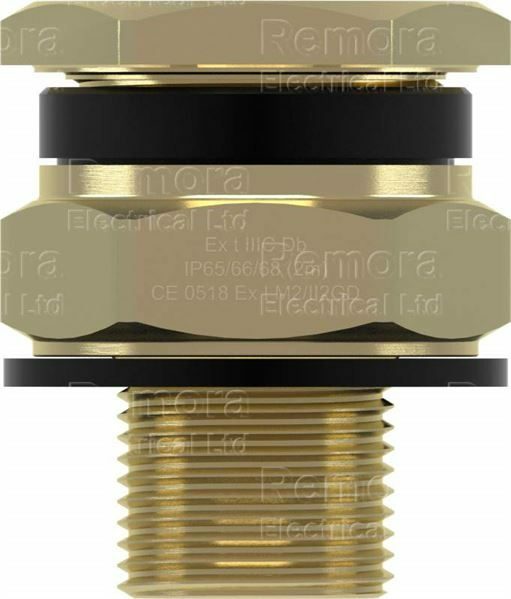 Cable gland and cable can still be earthed externally with the use of an earth tag fitted between the cable gland and the Insulated Adaptor. • An IP rating of IP66 /67/68 is maintained.